In 1876, many individuals were flocking “to Philadelphia” for the Centennial International Exposition. The fair was held for six months, welcoming over 10 million visitors at newly constructed sites in the city’s Fairmount Park area. To celebrate the centennial of the founding of the United States, the nation would return to the city where it all began in 1776 with the signing of the Declaration of Independence. An event guidebook boasted that this “Exhibition is the largest ever held,” with 150 temporary and permanent structures created to display machinery, horticultural specimens, and works of art. One of the most interesting and instructive features of the Exhibition is the evidence it affords of how our young republic, in its one hundred years of existence, has thrown off the simplicity of living necessary in its early days when existence was a long struggle with poverty, and with increasing wealth and prosperity is gathering to itself the most costly and elegant appliances for making life not only comfortable, but luxurious, which money can buy. In every quarter of the world the invention of the artist and sculptor and artisan is taxed to supply the demand which wealth and culture make upon every branch of manufacture to give us the best that can be produced. The proliferation of Centennial souvenirs was created thanks to new technologies that allowed for greater amounts of goods to be manufactured, fulfilling the needs of the large number of visitors who sought to remember the experience. 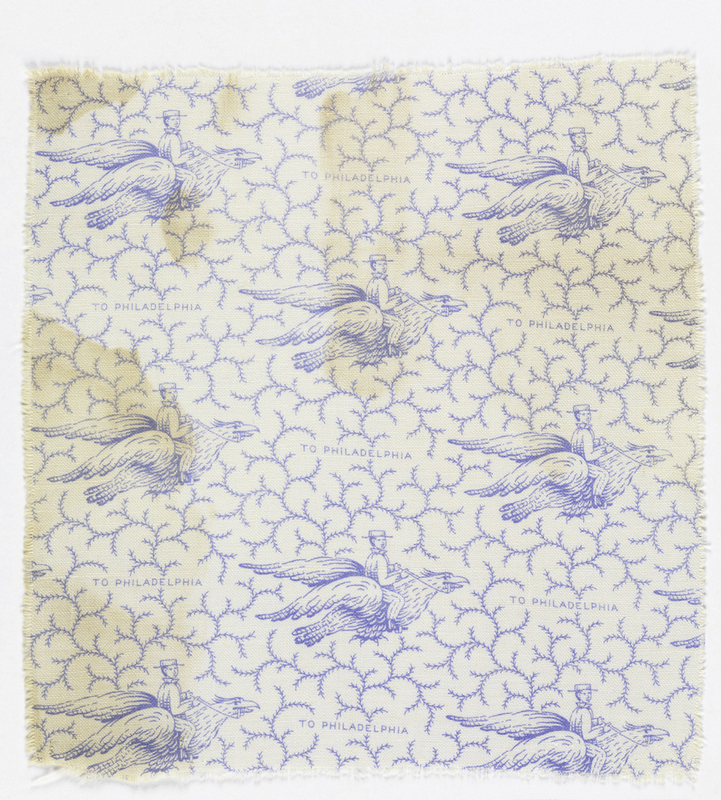 One such object in the Cooper Hewitt Collection is a commemorative handkerchief printed with images of Memorial, Agricultural, Horticultural, and Machinery Halls, along with the Main Exhibition Building. There is also a kit that could be cut out and assembled to reproduce a scale model of Horticultural Hall, complete with tiny visitors to view the architectural and natural wonders. For people living in the 1870s, these souvenirs preserved the memories that were linked to the event. For modern audiences, these items allow us to glimpse an incarnation of Philadelphia that is no longer in existence since most of the Centennial buildings have been lost to time. Virginia Pollock is a Curatorial Fellow in the Textiles department at Cooper Hewitt, Smithsonian Design Museum, and a first-year graduate student in the History of Design and Curatorial Studies program offered jointly by Cooper Hewitt and Parsons School of Design. Bruno Giberti, Designing the Centennial: A History of the 1876 International Exhibition in Philadelphia (Lexington: University Press of Kentucky, 2002), 210. The Centennial Exposition guide: Fairmount Park, with map and complete descriptions of all the buildings, what to see, where to go (Philadelphia: Hamlin & Lawrence, 1876), 1. The Masterpieces of the Centennial International Exhibition Illustrated, Volume II: Industrial Art (Philadelphia: Gebbie & Barrie, 1876), v-x. I particularly enjoyed this post. The quote from “Masterpieces of the Centennial…” I found to be very interesting. Thank you.